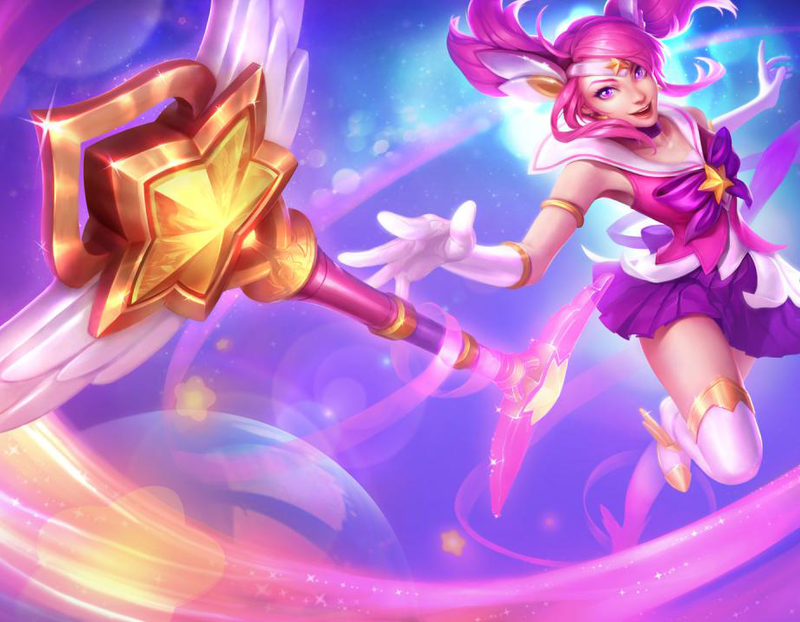 When Lux’s Star Guardian skin was released, I was super excited because not only did I love and play Lux; magical girls were my jam. 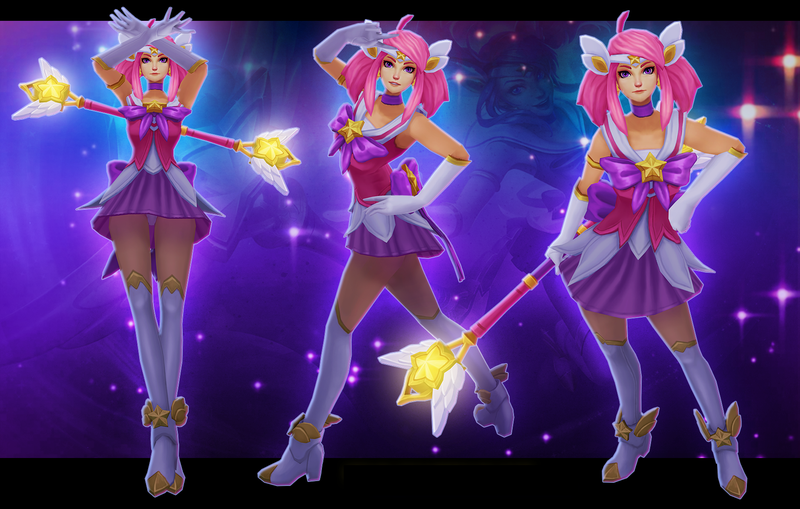 So when my friends wanted to put together a League group I quickly volunteered to make Lux. Chad also hadn’t had the chance to make me any props until this point and he was happy to tackle her staff and smaller accessories. Luckily I had made a Sailor Neptune cosplay in the past and had some experience with sailor fukus. The hardest part was figuring out what fabrics to use. I didn’t want to use something that was TOO shiny, but I also didn’t want the costume to be flat. I went with matte fabrics for the pinks and purples and for the white I went with a satin or spandex. The smaller accessories were a combination of 3D prints, resin, and sintra. The stars were originally 3D printed and a mold was made to cast out of resin. We added a filler into the resin so the stars wouldn’t be too heavy. The tiara was resin cast as well using a mold we already had, while the resin was still curing we curved the mold to give it a rounder shape so it would fit on my forehead. The hair accessories were 3D printed and finished using (**CHAD INSERT FILLER PRIMER NAME GUY). The rest of the pieces were all head formed sintra.